Five-time Olympic medalist, actor, Ambassador of Aloha: Duke Kahanamoku is far from being merely a surfing legend. He gifted the world not only with his exhibitions, but also with his words of wisdom. He believed that surfing was not a matter of challenges and awards: all his life long, Duke Kahanamoku stressed the importance of grace, humor and generosity. “You know” he said in 1965, “there are so many things coming in all the time, you don’t have to worry about that. Take your time – wave come. Let the other guys go; catch another one”. Let’s keep his words in mind and retrace his steps. Born in 1890 in Honolulu, he was the first son of a full-blooded Hawaiian family. Duke was his real name, inherited from his father: although many people believed he was of noble origins, Duke was always prone to set the record straight about his lineage. When he was three years old, he moved with his parents to the outskirts of Waikiki, to support his mother’s family. Here, he spent his youth on the beach, developing his swimming and surfing skills. He started surfing on a Hawaiian traditional surf board: made from the wood of koatree, it was 16 feet long, weighed 114 pounds and had no skeg, which was still to be invented. Later in his career, Duke shifted to boards more modern, still preferring the ones made of wood. At the age of 21, Duke had already beaten three world records in his first swimming races in Honolulu Harbor. In 1912, he took part in the Olympics held in Stockholm and won the gold metal in the 100-meter freestyle and the silver medal in the men’s 4×200-meter freestyle relay. He was the only Hawaiian present, and the sportswriter Wolfe called him “a human fish” and “the greatest swimmer the world of sport has ever seen”. Duke exploited his fame and, during his travels from one race to the other, he tried to make the ancient art of surfing popular by providing demonstrations. When people asked him why he loved surfing so much, he answered: “You are rewarded with a feeling of complete freedom and independence”. It was 1920, when he won gold medals both in the 100 meters and in the 400-meter relay; again, in 1924, he won a silver medal in the 100-meter freestyle. During these occasions, he tried to suggest surfing as an Olympic sport, but he was unheard. In 1925, his name was lauded not for his swimming abilities, but for his heroism: Thelma, a 40-foot yacht, capsized at Newport Beach and Duke, using his surfboard, pulled eight fishermen out of the troubling waters. The Honolulu Star-Bulletin described Duke’s efforts as “the most superhuman surfboard rescue act the world has ever seen”. 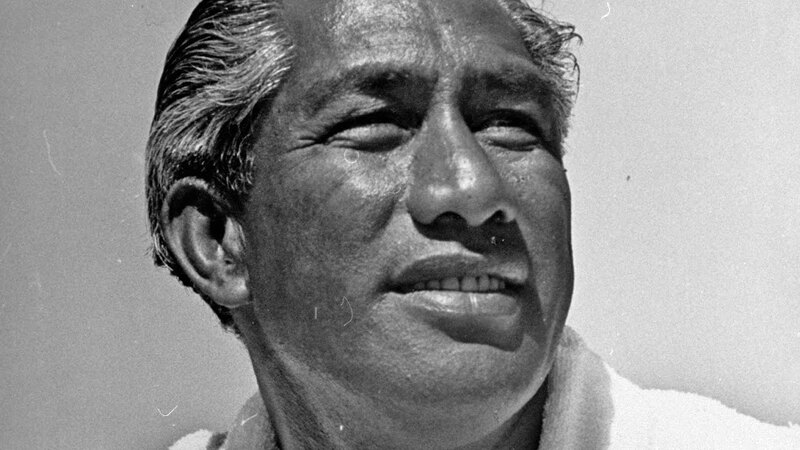 In between a medal and a heroic gesture, Duke Kahanamoku also performed as a background actor in several movies, making connections with people who could further publicize the sport of surfing. Although he never achieved his dream of seeing surfing as an Olympic sport, he nevertheless made it become an important part of the American culture: by 1960, the art of surfing was praised by the Beach Boys’ songs and by movies like Gidget and Beach Blanket Bingo. 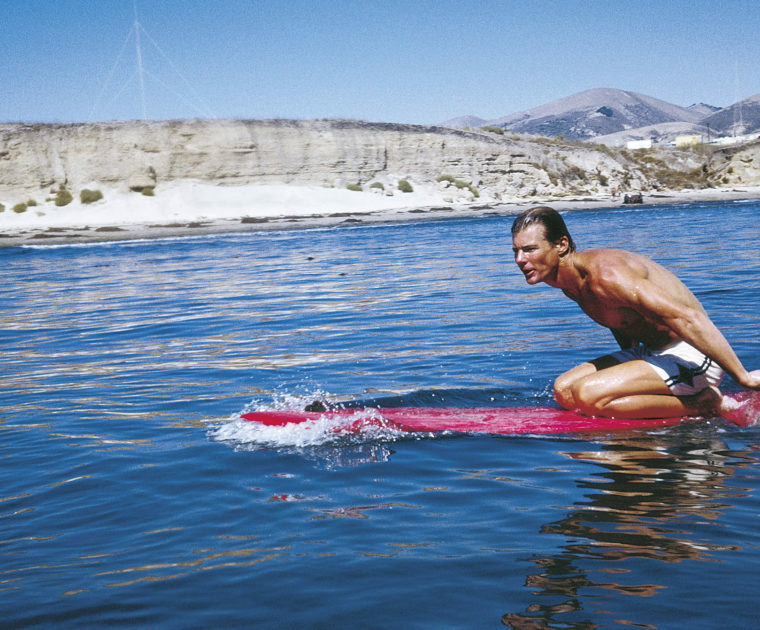 In 1966, he was the first person to be inducted into both the Swimming and the Surfing Halls of Fame. Only two years later, at the age of 77, he died of a heart attack. And, while Aloha Oe was sung, his ashes were scattered into the ocean, where he had always belonged.